Jake Flannigan filmed every in-state basketball game played by Chicago's Simeon Career Academy during the 2011-12 season. 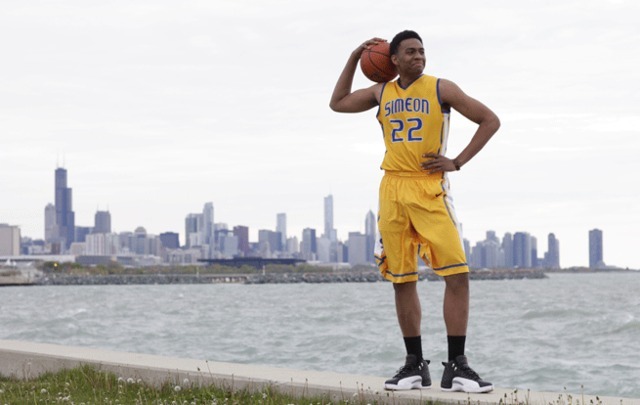 He saw Simeon's star forward, Jabari Parker, score 40 points one day and block 12 shots another. But his lasting impression of Jabari was formed when the camera was off. After a home game in which Jabari barely missed a triple double, Flannigan, a producer at Comcast SportsNet Chicago, waited outside the locker room for an interview. Jabari never appeared. He had used another exit to return to the court for the jayvee game and was behind the bench passing out water. "The other varsity players were out in the hallway, talking to girls by the snack stand," says Flannigan. "The best player in the city was being the water boy for the jayvee. It's hard to root against a kid like that. He's on top of the world, but he's incredibly humble."